Prospective clients often ask me whether I offer a notarized translation service. The answer is “Yes, ” and it’s not a particularly complicated or expensive process. Once I’ve finished a translation, I simply print out the source text and the translated document, and book a short appointment with a notary in town to sign a simple declaration (affidavit) to the effect that my translation is a true representation of the original document. The notary charges me a nominal fee for the service, which I simply add to my invoice for the client, without seeking any markup. 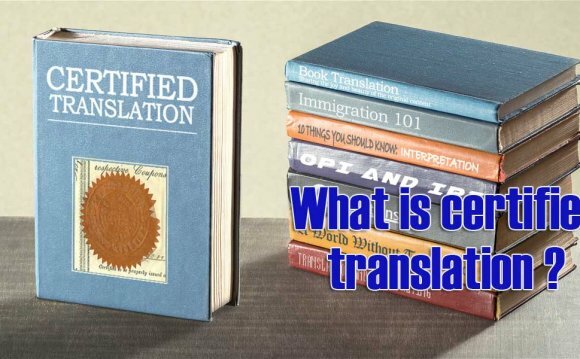 How does a certified translation differ from a notarized translation? Simply put, only a professional certified translator can provide a certified translation of a document. Certification involves preparing an official signed translator’s declaration and rubber-stamping or embossing each page of the document with my professional seal (from the BC professional association or Quebec professional order, depending on the client’s preference). In other words, a certified translation comes with a guarantee of quality, because my skills and experience as a translator have been certified by an official governing body. As a professional certified translator, I attest to the quality of my translation. In contrast, any translator can provide a notarized translation. There is not necessarily any guarantee of quality, because the translator does not have to be certified. The only official aspect in the process is I swear an oath and sign an affidavit before a notary. The notary simply affirms that I have given my word that the translation is a true representation of the original, but does not assess the quality of my work per se. Who needs certified or notarized translations? In a nutshell, translations for legal, contractual or immigration purposes (for instance, court transcripts, service agreements, or birth or marriage certificates) often need to be certified, whereas translations for administrative purposes (such as college and university admissions) might only need to be notarized. In some cases, a client may ask for a translation to be certified and notarized. As far as I can see, the notarization simply adds an extra layer of “officialness” to the certified translation, which can either stand alone in its own right or be accompanied by the affidavit of notarization, depending on the client’s needs. Which service is more expensive? For the act of translation, I usually charge the same rate per word/page/hour regardless of whether I am providing a certified, notarized or standard translation service. For the act of notarization, I simply pass on the fee I am charged by the notary. And for the act of certification, I usually charge my hourly rate (with a half-hour minimum) to cover the time I spend preparing the translator’s declaration and signing and sealing the documents. Practically speaking, the difference in cost between notarization and certification is often negligible.